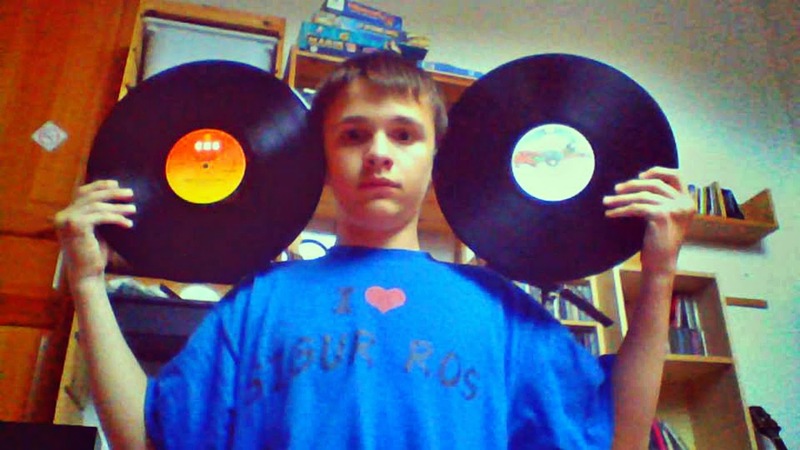 Augustin Brousseloux is a french musician (born 08.06.1999 in Reims). He began with classical guitar at the age of 5, followed by electric guitar at the age of 9. With 11, He starts to play some village festivals and forms his very first psychic rock band. Two years later he changes directions to create Tómur (June 2013), an experimental-noise project. He released his first album this January 2014 - Expérimental Sessions #1 – P., and joins the project Native Sounds of Friendship for one track. 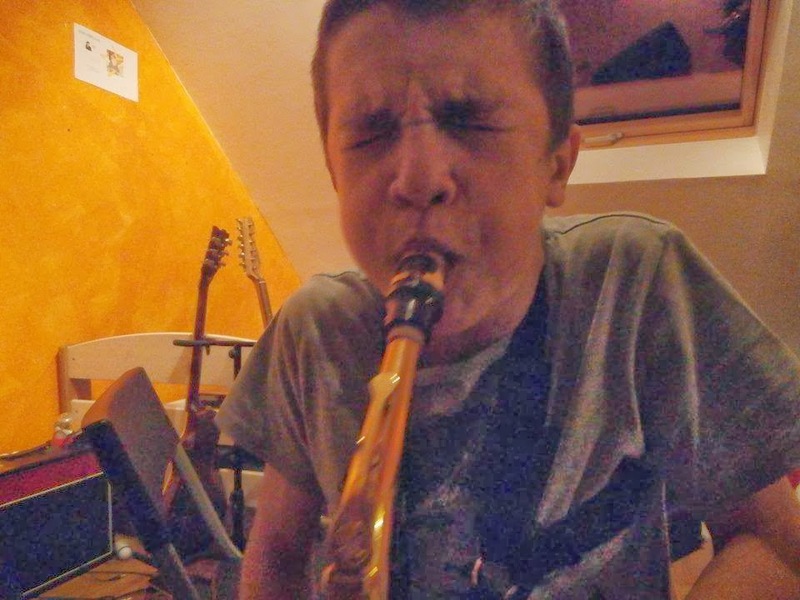 In February 2014 he releases a dozen albums on his own label (http://tomur.bandcamp.com/), including a trio with Chris Silver T & Matthias Boss and an EP duet with Noël Akchoté - Today he explores all sorts of musical genres, experiments many sounds the guitar and also took up Alto Saxophone. My very first album bought on my own was « The Wall », by Pink Floyd. Some acoustic guitar miniatures, inspired by Noël Akchoté, Derek Bailey and Fred Frith. Free music, free guitar, free download ! And what is the last one you bought? The fabulous « Boot » by The Thing (Matts Gustafsson's Trio), on Vinyl right after seeing them live and meeting them. What was the very first solo you transcribed, do you remember it today still ? Jimmy Page's solo on Stairway to Heaven by by Led Zeppelin, and I think I still can play it today (but better check...). What's you favorite playing from your own albums until now? Something is Coming, by the Tómur project, an album to be released next month. Is it different for you to record in studio or play live? Yes, its very different because in studio I'm on my own, without any pressure, and I can any time erase the take and start all from zero again.... On Stage, your barely don't have the right to mistake – But in fact, I really enjoy both. What makes a good improvisation differ from a bad one ? A Good Improv's is an improv that you feel, that moves you inside, that sets the artist close to trance, deep and gone in his own trip.... if that doesn't happen, its rather a bad improvisation, at least for me, that's the way I feel it. What's the difference between a good and a bad guitar? A good guitar sounds good anywhere, whatever amps you play on, and gives you more pleasure and makes you hear and feel the music better. Do you approach acoustic and electric differently? Yes. Its a different approach because, once again, I don't feel the same thing on each of these instruments. The Acoustic guitar has a warmer tone, a larger range too, but the Electric opens you more possibilities. Do you feel more yourself on Electric or Acoustic? At the moment I love electric because of all the Sound manipulation I can use, like effects or distortion for example. What kind of else guitars or instruments would you like to have and play? I will soon buy a resonator (Dobro) guitar from Fender, and I would like to have a Sitar and a Bouzouki too. Which Musicians would you love to play with? I'm dreaming to play in a saxophone 4tet with John Zorn, Matts Gustafsson and Peter Brötzmann, and also to set a gigantic free-jazz orchestra that would melt bands such as Big Four, Electric Masada, Rob Mazurek Octet & the Fire Orchestra. I choose it because since earliest age i was fascinated by this instrument, this stack of frets, strings and knobs....in fact I started to hustle my parents about learming guitar with the age of 3, but I only started two years later with 5. Today its the same, i'm still absolutely fascinated by the instrument and by all its nuances and infinite possibilities. my series of Miniatures for Guitar, also my other series (NÖYZ & †). I want to collaborate with other musicians too, and already may projects are in preparation. I also want to record more albums, particularly a fusion between Free-Jazz and Celtic Music.